There are a lot of things I want to express in this post, but I also know I don’t have a ton of mental energy to accurately do that. So, let me tell ya’ll this. On Monday, I picked up a package from my mailbox that was both unexpected and large. In it was the most beautiful book of my horse beautiful horse, which I sobbed over. Like, I sobbed so hard it took me three times flipping through the book to actually see the pages. I didn’t even see the last page, with his name and dates and an excerpt from the Paul Simon song I picked his show name after, until the day after. I cried tears on the cover, and then briefly panicked because I didn’t want them to stain my beautiful book of my beautiful book (they didn’t). And it was the most perfect gift. But what was perfect about it wasn’t the physical thing, but the love that created it. The card explained that everyone joined together to try and make me feel better after his loss. Over 80 people. A list of names I knew from riding, from blogging, from life. There are names I don’t even recognize, that’s how deep this love runs. The card explained the mystery of the painting (which thank god I’m so glad it was a group effort and not just one person because that’s too much money for one person!) and it said one special gift was still to come, which revealed itself today. 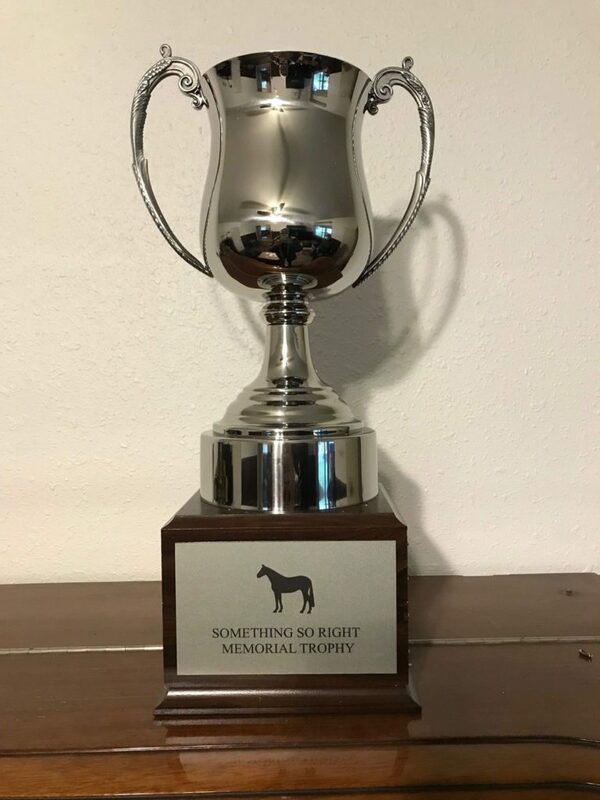 A memorial trophy in his name for my California barn’s show series, to be given to a deserving amateur who displays good sportsmanship and appreciation to the sport and their horse. It’s so perfect. It’s all so perfect. There aren’t really words to express my gratitude, but know this. In the last month, things have been pretty dark for me. I have not been in a good place. At times, I have not wanted to be in a place at all, but I have known y’all are out there. 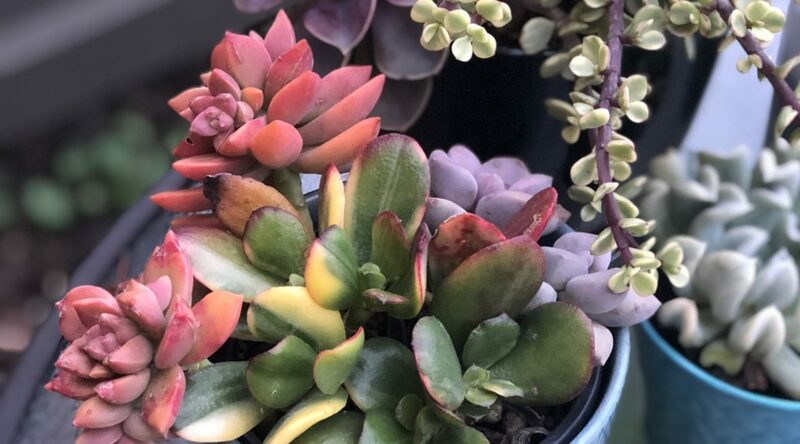 Even before this gift, although it certainly burns brighter now. I have known y’all are out there and somehow need me to keep fighting. Keep writing about the struggle, whether it’s carbs or ponies or depression, and keep being around. Truthfully, I don’t know why sometimes. I am quite average. My beloved nerd horse was quite average. Together, we were above average, maybe even a little bit special. I’m thankful for that, despite the pain. I’m thankful for y’all, despite having a hard time seeing why I get this much support at times. My friends, plentiful and absolutely the best; my family, not close in proximity but deep in love; my readers, whether strangers or faces I know well — everyone inspires me to be a better person. To get up every day and try to put out as much love into the world as I have been given. The second thing I’ll say is this: I started therapy a few weeks ago. I know this will make at least a few readers sigh with relief, and I’m sure it’s long overdue. Until I lost Simon, I always felt confident in my ability to keep pushing, but lately I haven’t felt that as much so I made the appointment. Much to my dismay, I wasn’t given a handout of mental exercises to fix me. I wasn’t given a timeline or training schedule or regimen. The first day, I wondered why people get paid to watch others sob for an hour straight? Because that’s certainly what I did. Except that sentence took a full hour, because sobbing. At the end of that session, the therapist told me I had a degree of toughness that many people don’t have. “You probably don’t like being called tough,” she added. And as I wiped the probably excessive amounts of mascara dribbling down my face, I felt seen. Because I tell a lot of people in my circle here that I’m a mess, or I’m barely holding on, and I’m not sure they believe me. They see this high functioning, type-A Capricorn that puts way too much on her plate most of the time and meets deadlines, does all the things. How could I be a mess? I work three jobs, own a house, pay taxes, (used to) show horses and have a lot of friends. I’m doing better than most. That’s both true and untrue, like most things. The last thing I’ll say is this: I am too stubborn to quit. I will keep going, but I am not convinced better things are ahead of me. Right now it pretty much looks like the best times of my life are all in the past. But I have a book to publish, a dog to take care of, a memorial trophy of the best horse ever to award. I know that I am loved, in large part thanks to y’all. For right now, that has to be enough.